How To Convert HDTV Into Smart Android TV? High Definition Televisions known as HDTVs are really common these days. However, HDTVs are now more of smart televisions rather than just watching moving pictures on a big screen. Early HDTVs were only high definition televisions however most of the modern televisions are now smart televisions having all computer features all in just a single television. The smart HDTVs are the one that provides you more than watching television features like playing games, access the web pages, run apps, etc. You can do lots of other computer related tasks with your smart HDTV. If you have an earlier HDTV and are thinking to buy a new smart HDTV then wait a minute. You don’t have to buy one as the technology has solved your problem. You don’t have to spend a lot of money for buying a smart HDTV and just need a gadget to convert the older HDTV into newer smart HDTV. There are a variety of gadgets available that can help you in transforming your HDTV into a smart HDTV like Chromecast, Apple TV, Roku Stick, WDTV, etc. I am going to explain the procedure of converting HDTV into smart HDTV via Google’s Chromecast here. Google has launched its Chromecast HDMI dongle which is worth of just $30 and can help you in converting HDTV into smart HDTV with spending money on buying a new one. Chromecast does not add smart features to the HDTV directly rather you can install chromecast app to your android device and can send the content to the HDTV using a streaming source that supports it like YouTube, Hulu, Netflix, Google Play Movies, etc. You can also share content from your browser like Google Chrome to HDTV but it requires Google cast plug-in to do so. You can get Google chromecast from Amazon easily. Here is the link for that. HOW TO SETUP GOOGLE CHROMECAST? 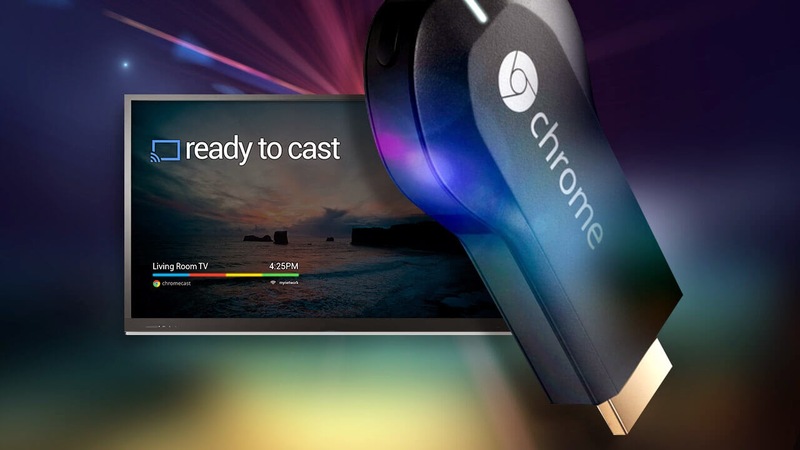 Google Chromecast is easy to set up and only requires a few steps. Find an HDMI port available on your HDTV and connect chromecast power cable. 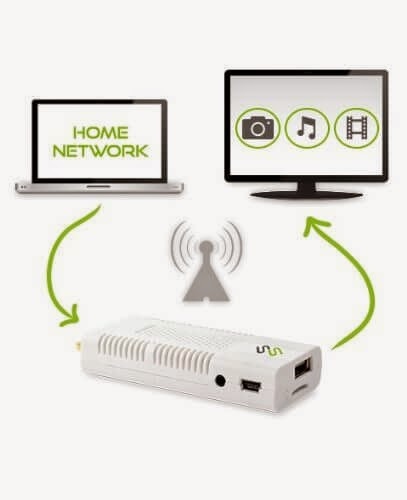 The power cable requires a USB connector and you can use the adopter included in the package or you can use the USB cable of the TV as well. Choose the HDMI input on the TV correctly to see what the chromecast is displaying on screen and complete the setup by opening chromecast app on your android mobile device that uses WiFi to wirelessly stream or mirror your Android device’s content on your HDTV using Chromecast (since chromecast has built in WiFi connectivity). The chromecast will continuously show information on TV that should be input in the chromecast app and the app will start scanning device and ask you to configure it for your wireless network. The configuration process is complete. You can now view the content on your HDTV by clicking on the supported chromecast button in either the browser or the supported app. You can get the Roku Stick from the above mentioned link. This HDMI Dongle allows you to transform your old HDTV into new Smart TV. The setup steps are almost the same. 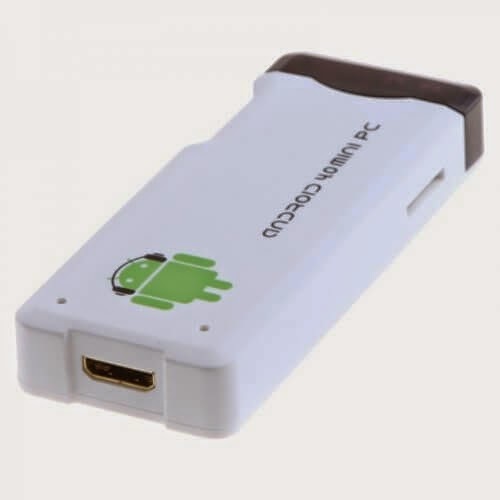 Favi Android Smart Stick is a HDMI HDTV converter into Smart HDTV. Do have a look here at the Amazon Link above. UG007B is another HDMI Dongle listed for your interest. That will help to convert your old HDTV into latest Android Smart TV. Please click the link above for complete details. 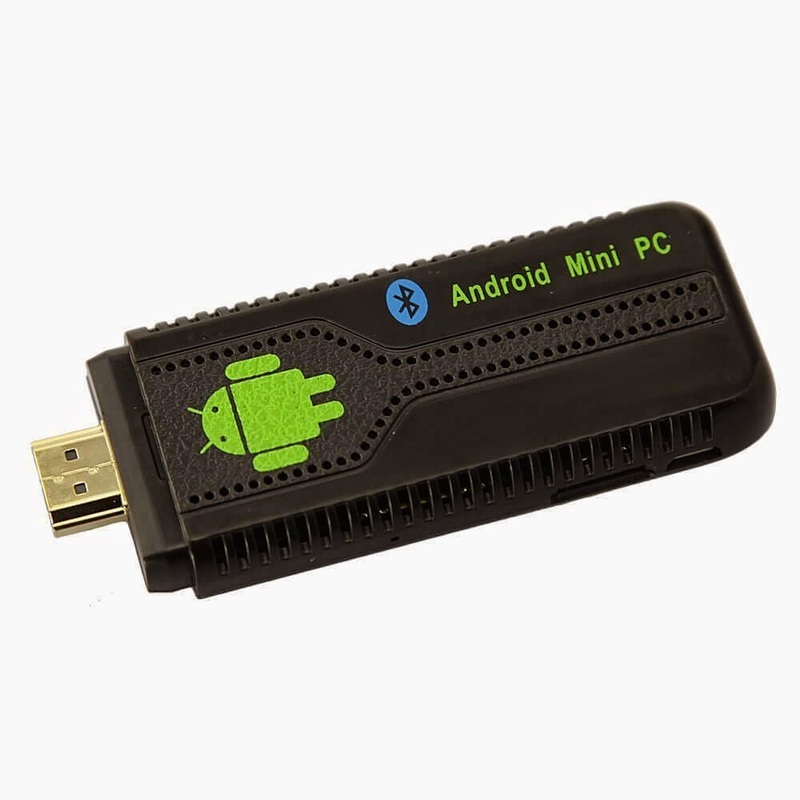 You can have access to another HDTV / LED TV To Smart TV Converter which is named as Mini PC. You can have a look at their specifications here. Buy one of these HDMI devices and upgrade your HDTV to smart HDTV and enjoy streaming videos, surfing to the internet and play games on your smart android HDTV.